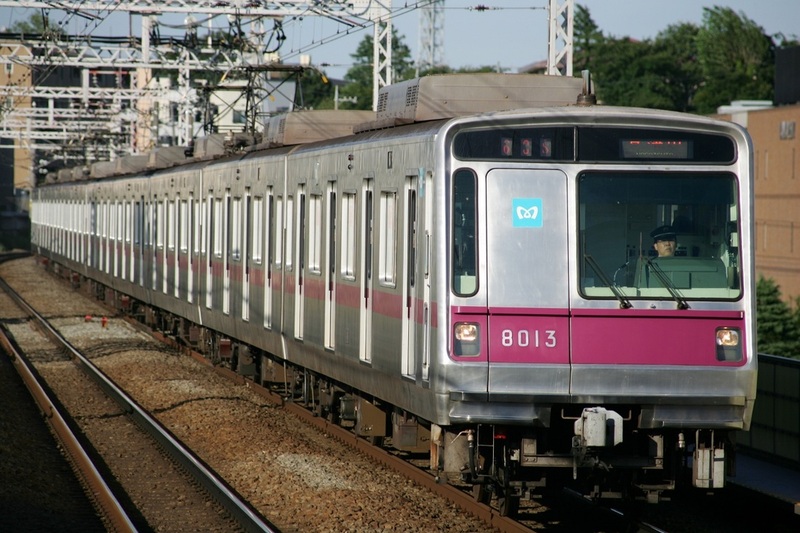 The 8000 Series is a four-door commuter-type electric multiple unit developed by the Teito Rapid Transit Authority (Currently Tokyo Metro) in the early 1980s to run on its new Hanzomon line which had opened in 1978. It shares its basic body design including aluminum construction, slanted nose and asymetrical face with the earlier 6000 and 7000 Series. 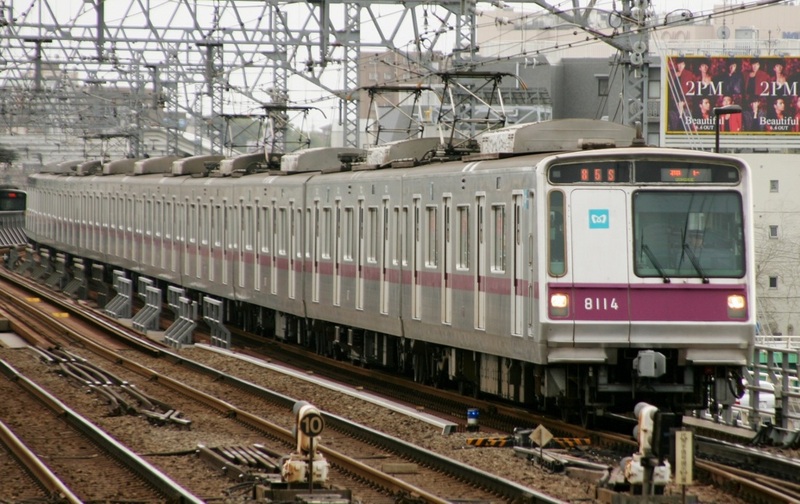 Some changes though include the usage of bolsterless bogies, equipment to run on Tokyu's tracks and a slight design change on the face of the train. The sixth batch of trains built after 1994 are slightly different from the other batches. They can be distinguished by their larger windows on the doors and bucket seats inside the train. The large door that takes up half the face of the end cars has a built in staircase on the other side for use during an emergency.